I started this website to help people to go on adventures. I’m Tim Moss, a British adventurer. I encourage people to live more adventurously with stories, resources, books and an expedition grant. 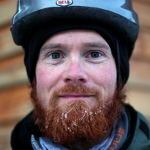 Get free expedition advice, how to articles, news on my books and stories of adventure sent straight to your inbox.